Global leaders, scholars and policymakers from all sectors of society are to gather in Incheon’s Songdo area this week to discuss well-being and inclusive growth, according to the Organization for Economic Cooperation and Development and Statistics Korea. 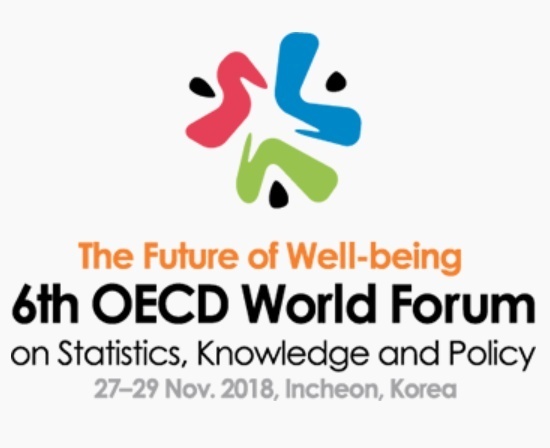 The sixth OECD World Forum, titled “The Future of Well-being” and held jointly by the OECD and South Korea’s statistics office, will take place at Songdo Convensia in the western metropolitan city of Incheon from Tuesday to Thursday. The three-day event will include three keynote speeches, six general meetings, 22 roundtables and sessions, 20 morning seminars, two press conferences and a variety of networking events, according to officials. Delivering the welcoming remarks and keynote addresses will be Statistics Korea Commissioner Kang Shin-wook, Deputy Prime Minister and Finance Minister Kim Dong-yeon and OECD Secretary-General Angel Gurria. “This year, we will seek to figure out the trends that will reshape people’s lives in the decades to come, placing particular emphasis on digital transformation, change of governance, and the emergence of the private sector,” Statistics Korea said in a press release. Since kicking off in Italy’s southern city of Palermo in 2004, the forum has taken place every two or three years. Korea’s first opportunity to play host was in 2009, when the third World Forum took place in Busan.